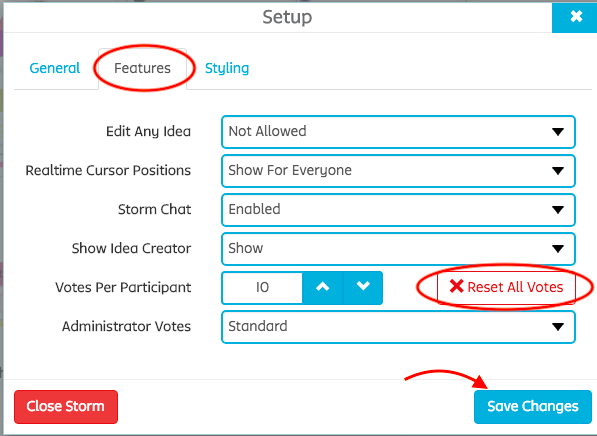 How do I reset the number of Votes in a Storm? The standard number of votes in each Storm is 10 per user. Only the Storm Administrator can reset the number of votes. Click on the Setup button at the bottom of your Storm. 2. A pop-up menu will open. Click the Reset All Votes button under Features to start voting again. NOTE: By doing this, every single vote will disappear from ALL the stickies in the Storm. 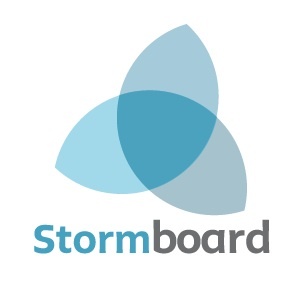 NOTE: The number of Votes still available for each Storm user, can be seen below the participant's avatar. How do I vote on stickies? How do I change the number of votes per user in a Storm?